If you are looking to be your own boss and like to work from your home, then Target Market Media might be for you. 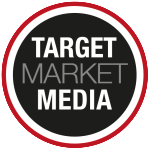 Target Market Media is a national publisher of trade magazines. Ken Minniti has been in the publishing business for many years and has worked with several Publishers throughout the country. He has great material and amazing guidance to get you through your first and continuing publications. You will enjoy working for Ken and his team.